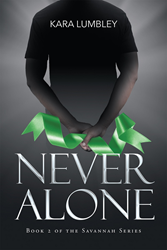 Recent release “Never Alone” from Page Publishing author Kara Lumbley is the second book in the Savannah Series in which the head medical examiner enlists the help of the lead detective in order to get over the horrors of being a serial killer’s intended number four, only to find herself wrapped back up into another dangerous plot. Kara Lumbley, a dedicated writer and family woman, has completed her new book “Never Alone”: an action-packed investigation into what seems at first to be an open-and-closed case and turns out to be merely a thread on a web of atrocities. Published by New York City-based Page Publishing, Kara Lumbley’s white-knuckle tale finds chief medical examiner Jena Greene making a concerted effort to put the ghastly happenings of the first book behind her. Lead detective Jordan, who cannot imagine what Jena had gone through in her personal moments with a serial killer who intended for her to be his fourth victim, agrees to escape to a beach house with her and leave Savannah’s crime scene to her partner Michael. In their absence, Michael and newbie detective Corie are called out to what appears to be a simple case of a heart attack in the park. However, once the investigation is underway it becomes devastatingly clear that there is something much larger, darker, and more malignant going on. Readers who wish to experience this thrilling work can purchase “Never Alone” at bookstores everywhere, or online at the Apple iTunes store, Amazon, Google Play or Barnes and Noble.